As an Apple user, iPhone is probably the closest iDevice we use in our daily life. And we'd like very much that our iOS devices stay organized, clean of unnecessary cache and always easy for us to go through files. For security reason or some other unspecified reasons, somehow Apple won't allow its users to easily access and manage the files on iOS devices. But the good thing is, developers have dug their heads and come up with various iOS file manager software and apps to manage iOS files without jailbreaking. To make sure you won't be fooled by some malicious spyware which claim they are the best iOS file manager, we have made a short list of the top 3 iOS file managers software on Windows which is absolutely clean and efficient. Check the review of the best 3 iOS file manager and choose your own one. Which file manage for iOS that you would choose? - Catch and manage documents on iOS 7-12 from PC. - Transfer audio & video from PC to iPhone, iPad. 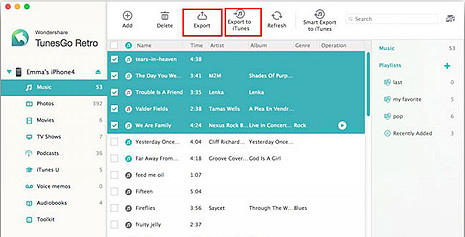 - Edit music info, add or delete songs from playlist. The best iOS file manager to back up iPhone iPad files. For the record, every iOS file manager mentioned here is chosen from the most popular ones and all are clean & safe, you can rest assure to download them. 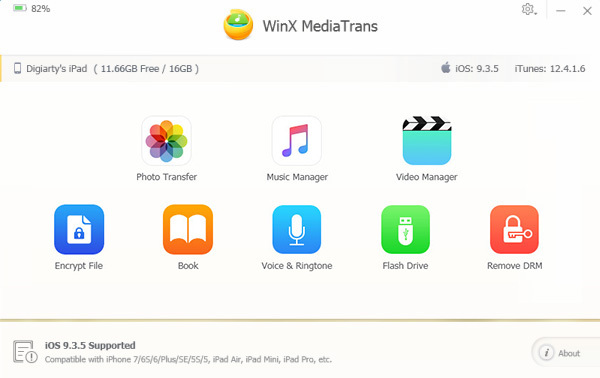 WinX MediaTrans is beautifully designed and it is the most fast iOS file manager to back up iPhone pictures to PC and transfer music, video between iPhone and PC. This iOS file manager only needs 3 seconds to export 20 songs from iPhone, 30 seconds to export 1000 photos from iPhone to PC and 52 seconds to import a 1GB movie from PC to iPhone. This is the least time-consuming iOS file manager that beats down the competitors on speed. Besides its No.1 fast advantage, this iOS file manager does have other extra features in transferring videos between PC and iOS devices such as automatically converting videos to iOS compatible MP4 format from any other video formats when importing videos from PC to iPhone, and automatically rotate the iPhone-made videos from vertical to horizontal when exporting videos from iPhone/iPad to PC. 500s to export 1000 photos from iOS. Amazingly, it also supports converting videos to iOS compatible format when transferring video from PC to iPhone, but this iOS file manager fails to support video converting from Mac to iPhone. 300s to export 1000 photos. Better still, this iOS file manager converts video as well. From the testing, 650s needed to convert a 396MB MKV video to iOS compatible MP4, while WinX MediaTrans takes only 140 seconds to convert the same file. There you go, the best 3 iOS file manager Windows software is listed up above, and the specifics are also loud and clear for you to compare, you just need to figure out which file manager for iOS 12/11 that suits you the most. Transfer big files like your photos, videos, documents with top 10 large file transfer sites. Fast transfer big files from iPhone to PC to free up space. Also learn how to send large files by splitting into video clips or compressing to a smaller size. iPad Pro 2 is an ideal portable device to store various files (photos, songs, movies, e-books etc.). On the other hand, file manager software for iPad Pro 2 becomes quite essential to make all saved files well organized. Here, the best iPad Pro 2 file manager will be recommended for you. With the best iPhone file manager, you can easily locate your files on iPhone as well. 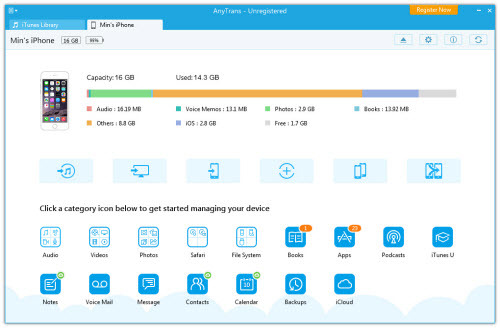 Thus, here introduces the top 3 iPhone file desk manager software, hope you can find the one that amazes and suits you the most.